Kim Donaldson grew up on a huge ranch in what was Rhodesia as a child. 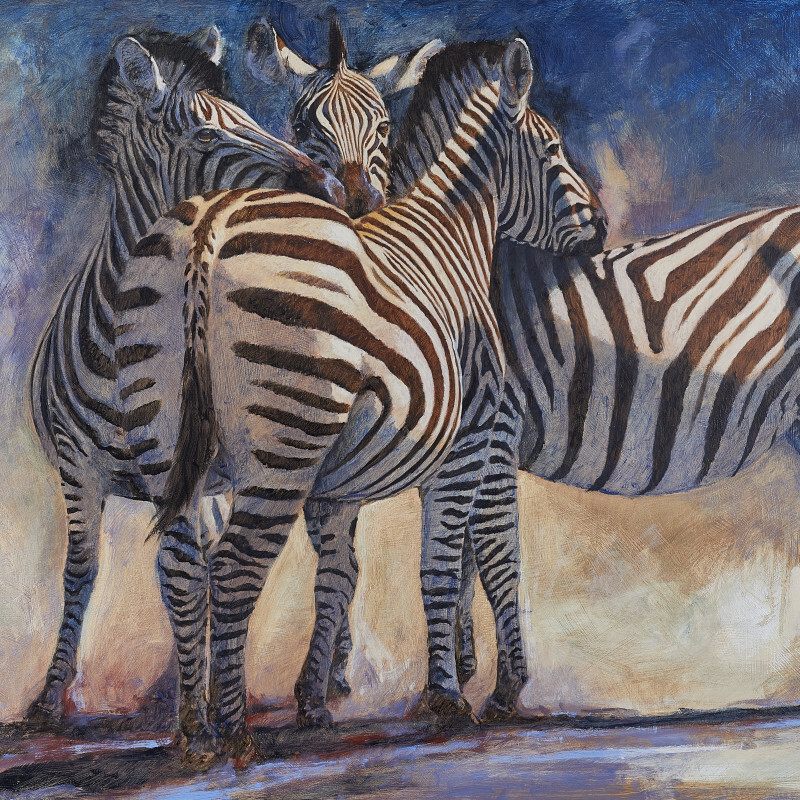 Encouraging his interest in wildlife art, his first-hand experience, gained from forty years spent travelling the wilderness areas of Africa, and vast knowledge of the animals and scenery around him allows him to replicate it truthfully in his artworks. Donaldson has painted in a variety of different styles, albeit contemporary, impressionistic or incredibly realistic. After he turned professional in 1978, he has held over fifty solo exhibitions in twenty years; his work is internationally known and regarded. During his professional career, he has featured in four books and wrote his book, Africa, An Artist’s Journal.